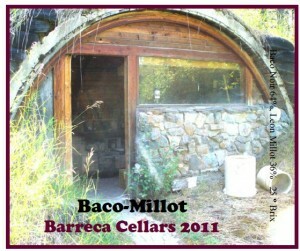 Baco-Millot 2011This is a hearty red wine and the driest of the selection. Aging 3 years has mellowed it out. It is good with beef, lamb, elk and any other red meat. 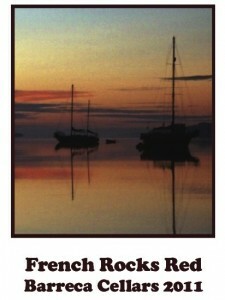 French Rocks Red 2011This wine is a bit sweeter than most and is also sparkling, which can be an issue. It is popular and good with pasta, soups and stews. It needs to be kept cool before use. Lucie Kuhlmann 2012This is my most popular wine. 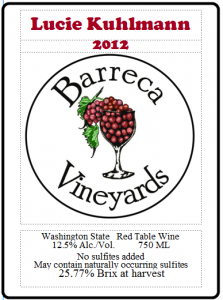 It is a mellow red table wine that goes with almost anything. It has a fruity flavor and is neither very dry nor sweet. Luckily I have a lot of it. 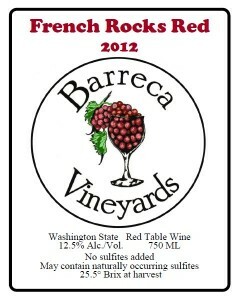 French Rocks Red 2012The French Rocks Red for 2012 is in between the Baco-Millot and the Lucie Kuhlmann in dryness. It is a more complex blend than either one. It is best after breathing for awhile and goes well with a hearty meal. 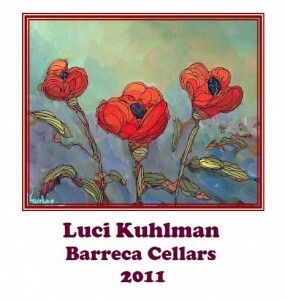 Lucie Kuhlmann 2011There is only one case of this left. It has aged well and is excellent alone or with any meal. Since supplies of this one are limited, no discounts apply. I would love to order a case of your 2012 French Rocks Red. Is that possible? Thanks for your purchase. Several people commented on how much they enjoyed the wine at the dinner.